Life of Kris Price: I love Mondays! I know that most people hate Mondays because it usually means going back to work, but even when I was working, I liked Mondays. I've always liked them ... I guess because they mean the start of a new week and new beginnings. When I was younger, Monday meant going back to school and being able to see friends! The weekend was good. Jim and I skipped the gym Friday morning so that we could go Saturday and follow it with a hike at a local park. Our hike was fun and we are hoping to make this a regular Saturday thing. We are lucky to live about 5 minutes from a very nice state park with plenty of trails with varying levels of difficulty. Hiking is definitely something I could get into. Today at the gym, I jogged 2 miles on the treadmill and was very pleased with myself. I have a goal to run a 5K some day, so I need to work on my stamina. I don't care about my speed ... I just want to check a bucket item off my list! I finished the above blanket Saturday night and will be sending it off to its recipient this week. I really hope she likes it! 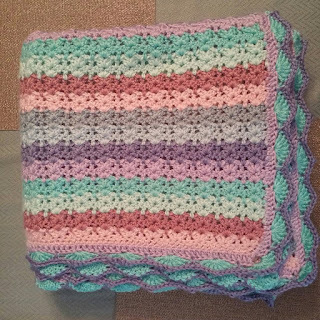 I tried to incorporate her favorite colors using the hydrangea pattern by Lucy of Attic24. 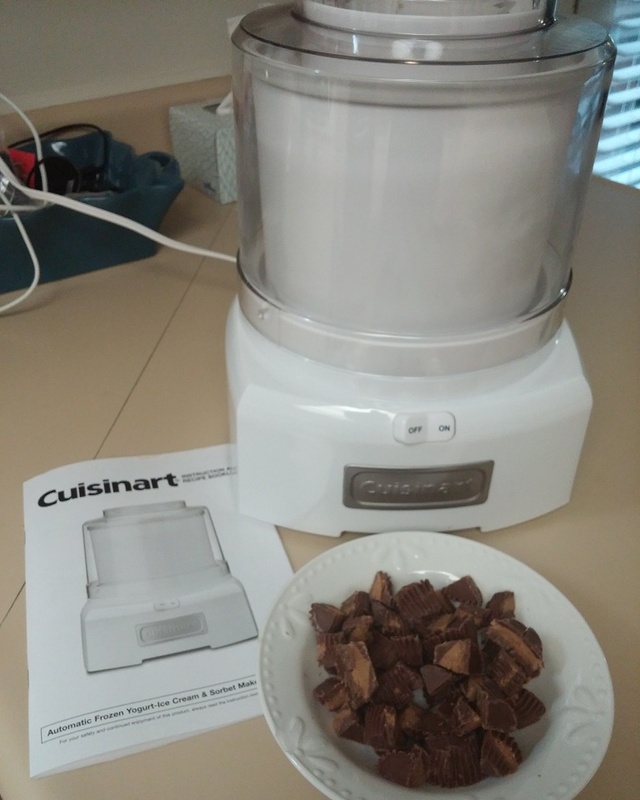 We also got out our new Cuisinart Ice Cream Maker this weekend and made both vanilla and chocolate Moose Tracks ice cream. Ice cream is the only sweet item we keep in the house. I don't make cookies, cakes, brownies, etc. because I have no willpower to resist them! We priced out what it costs to make our own ice cream and it truly isn't much more per serving than store-bought and now we know EXACTLY what is going in it ... just a handful of natural ingredients, not 20+ ingredients full of preservatives and things I can barely pronounce! Both flavors tasted wonderful and I will be looking for more recipes to try. I hope to find healthier recipes with less sugar and/or using Swerve, a sugar replacement. Today, I should finish up crocheting a fall mandala that I started last night. I will be sending it to someone who liked a mandala I had made for someone else. I like surprising people with things! 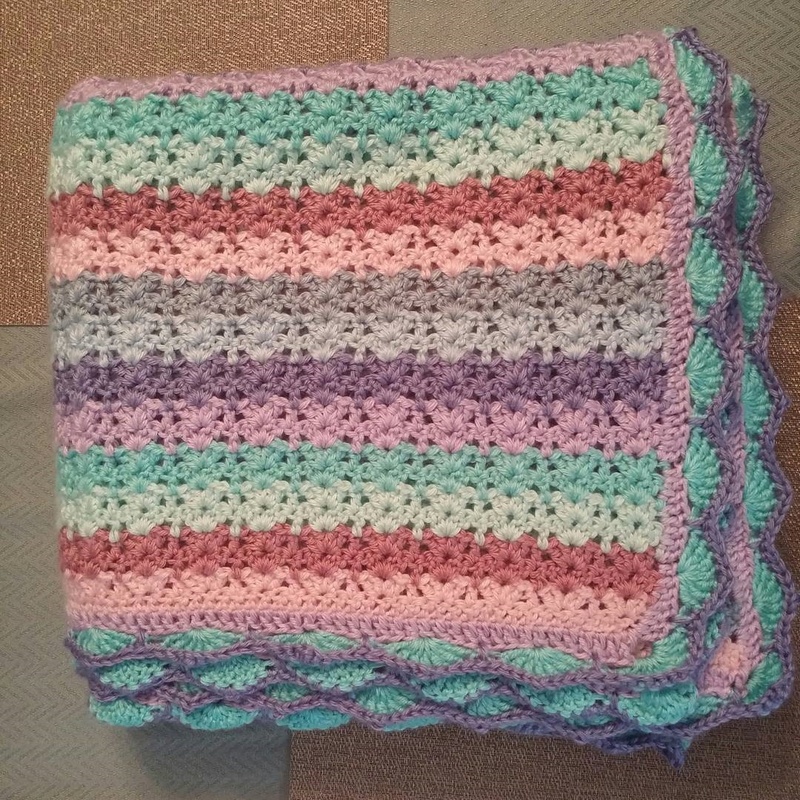 I also have plans for 2 blankets, a baby blanket for a friend's first child, a boy and also one for our living room. I tend to keep the house cooler than Jim likes and so he is often wrapped up in a blanket at night! My son has also asked for a blanket to be made for his bed and he has chosen colors and a pattern. I have the yarn here and can start it any time. It will be nice to have a few different projects going so that I don't get bored. Guess that is all for today. Actually, I have a ton of things on a list to share on this blog but it will take time for me to put them all into posts. Oh well, it's not like this blog is going anywhere ... I hope the start of your week was a good one! I think you will like Lucy's patterns. They are beautiful, but easy at the same time. Lots of inspiration in her blog!